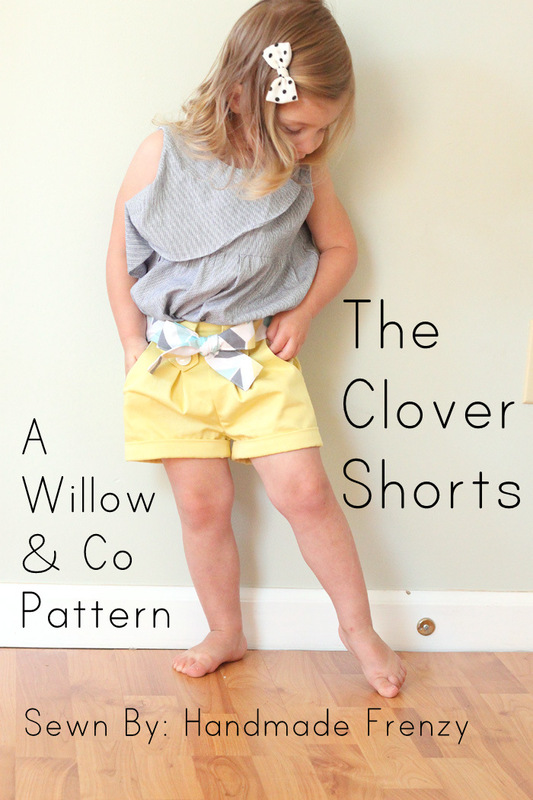 Today I'm sharing the last pattern I had the chance to test for in the Willow & Co pattern collection, The Clover Shorts! This is an absolute MUST HAVE pattern for your stash!! It comes with quite a few options so you can customize for just the look you want. 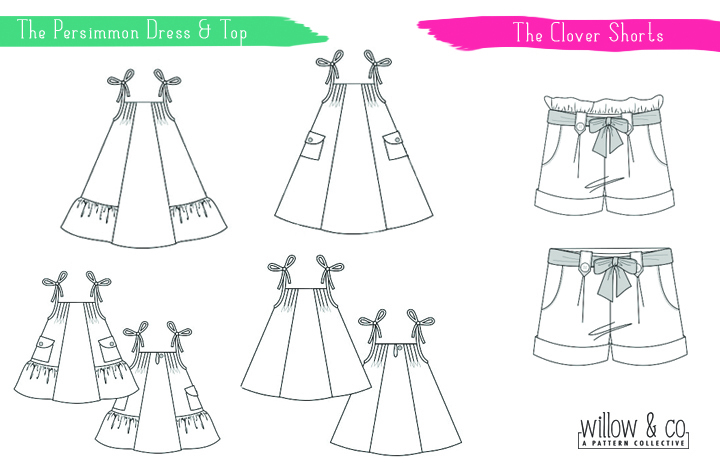 There is an optional sash, belt loops with buttons, ruffle for a paper bag waist, front pockets, and the cuffs can be folded up or left down. Really, there is so much you could do with these! I am so completely thrilled with this sunshiney yellow pair that I sewed up, it is View B just as written. I used a yellow twill and the weight is perfect for these. The fit on these shorts is A-MAZ-ING. Hayley put a lot of work into making sure these have the perfect fit for ALL sizes. And the size range is from 6mo - 12yrs! The back rise is perfection, no sagging and there is plenty of room in the bum area as well. 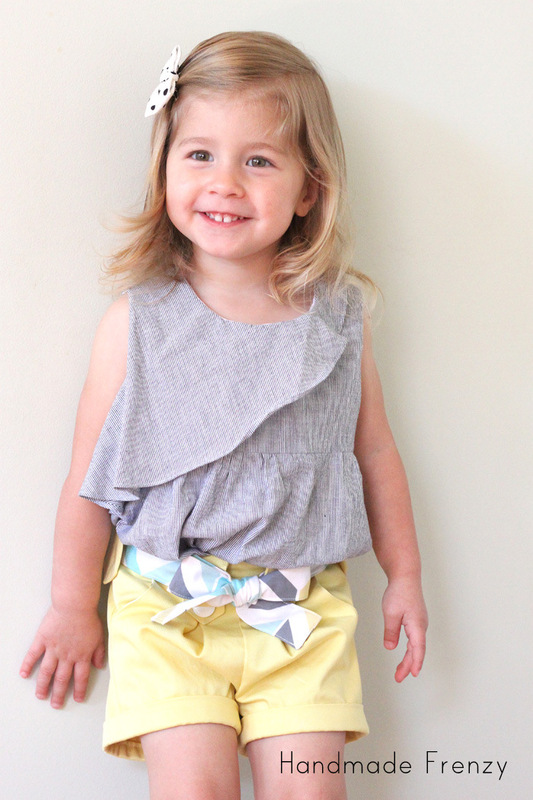 The waist is flat in the front with elastic in the back for an even more perfect fit. 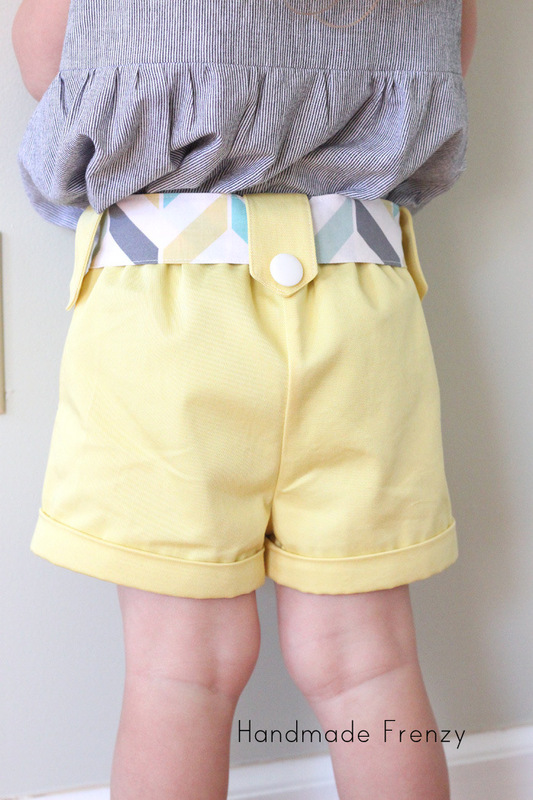 Another thing I LOVE about this pattern is that is has an attached waistband. Not only does it give a very professional and clean finish, it also allows for some fun "secret" pattern mixing. I don't have a picture of the inside of the shorts but you can see the black & white polka dot fabric I used for the inside waistband and the pocket linings peeking in the photo below. 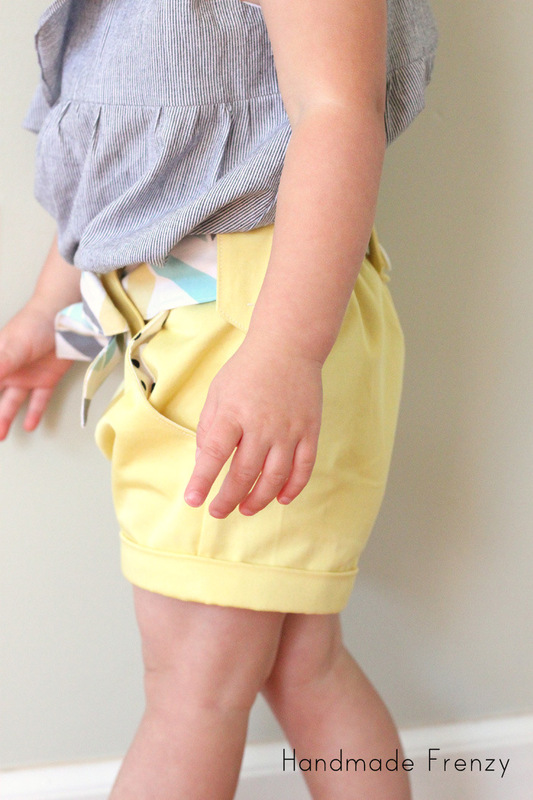 I love the look of the front pleats, and also the way the tabs are attached with buttons. It's all in the details for me! I made the sash a bit longer than what the pattern calls for, it just made it easier to tie it in a neat bow for me. I am completely thrilled with all 4 of the patterns I was able to test for the lovely Willow & Co ladies. I know they have been working SO hard to get this all together and they have done an absolutely phenomenal job! I can't wait until the whole collection is released and we can see all their hard work come to life. And then I can get my hands on the patterns that I wasn't able to sew yet as well! The release date is Tuesday, April 22nd. Mark your calendars! 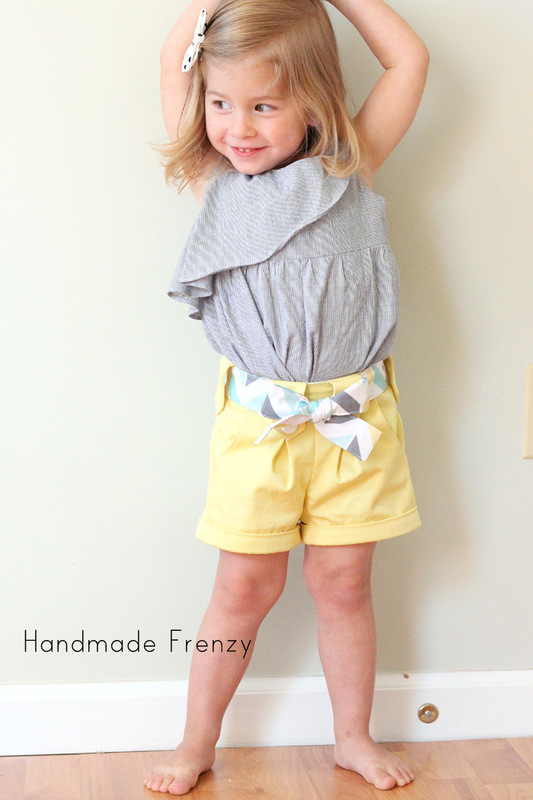 Changes made: Made the sash a few inches longer, adjusted the elastic to fit my girl. i love these so much! 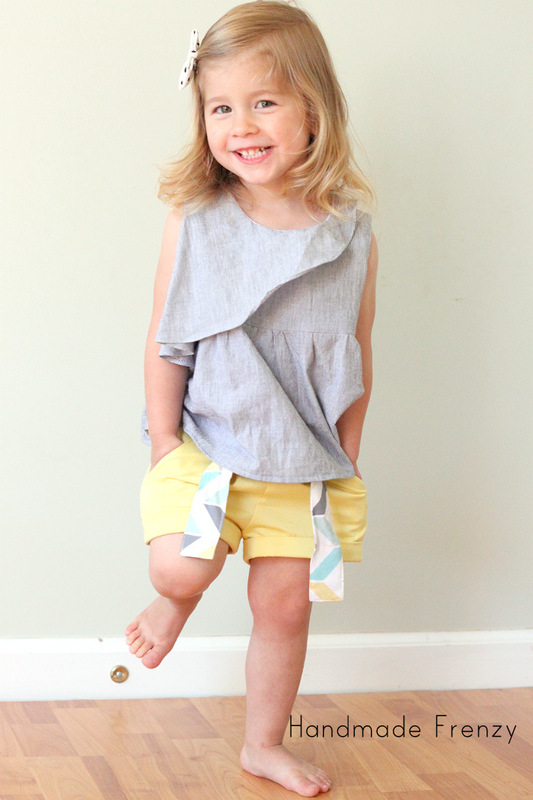 and the top is super cute too! Thanks Christina! 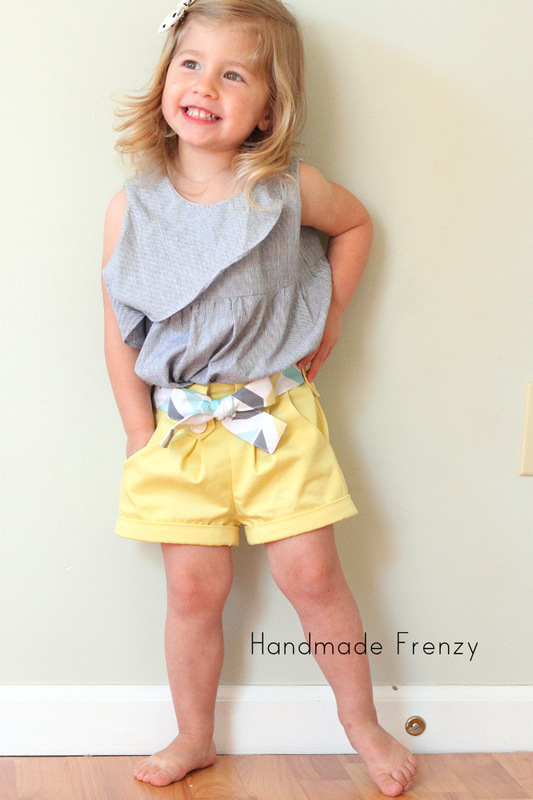 These are definitely my fave shorts I've made for her yet! 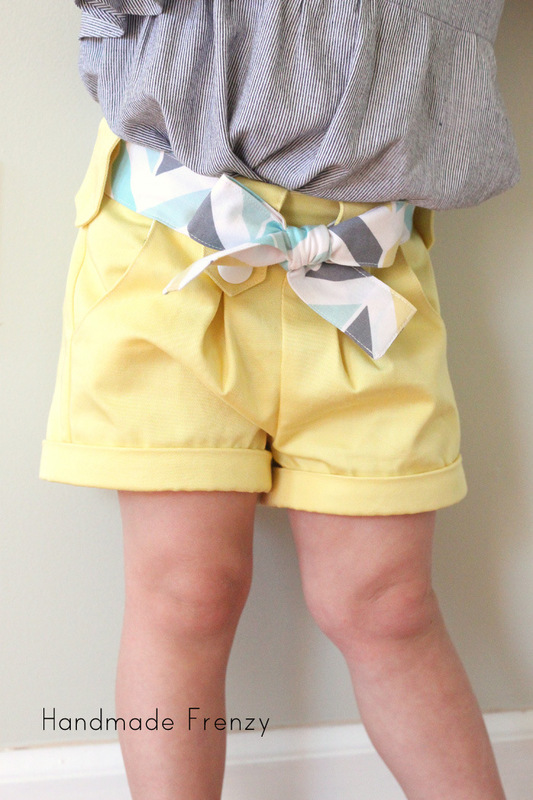 These shorts are the cutest. I love them in yellow! What I darling little girl!! 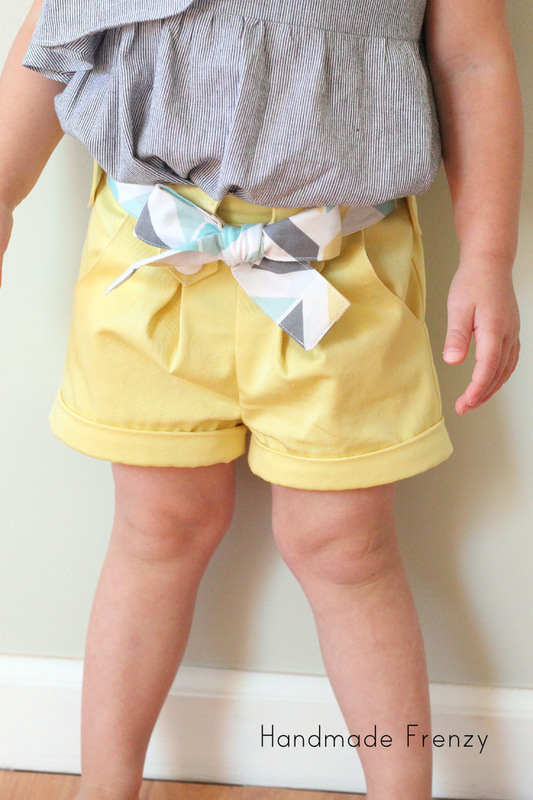 These shorts are tempting me! 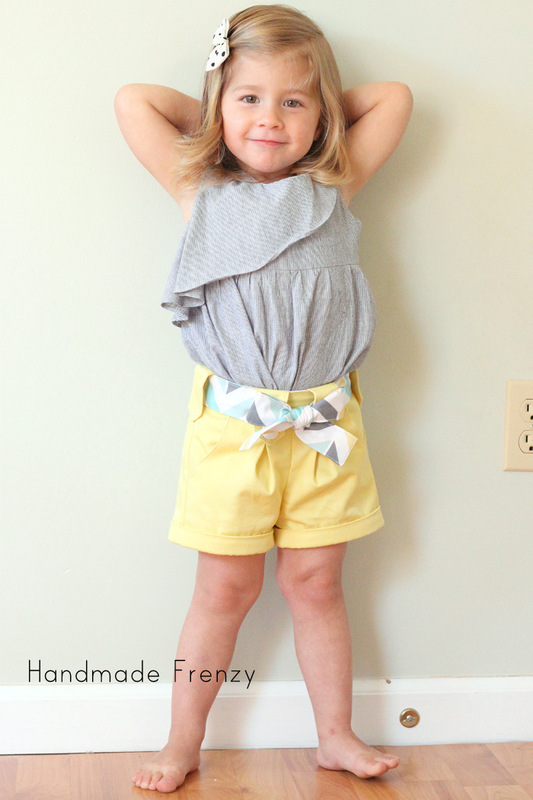 My girl needs new shorts and I love the style! Oh they are amazing! 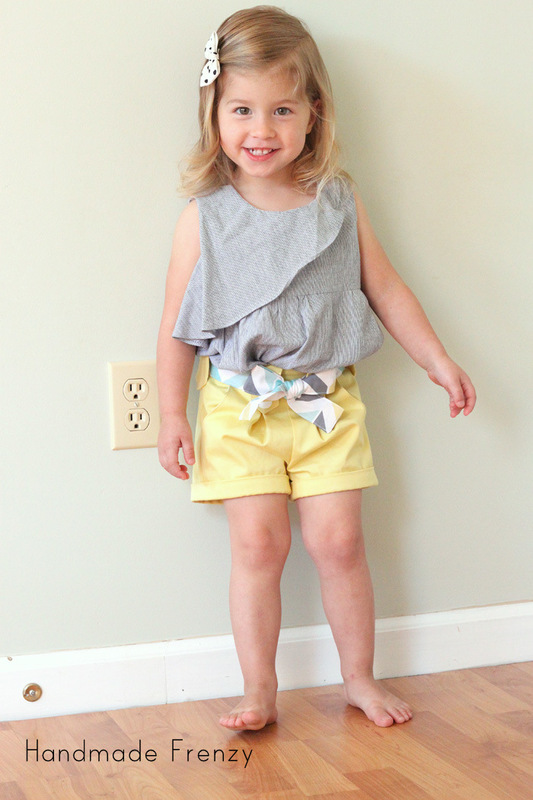 I made another pair I need to blog yet and they are my favorite pair of play shorts for her! I made them without the sash and button tabs. You would love it! 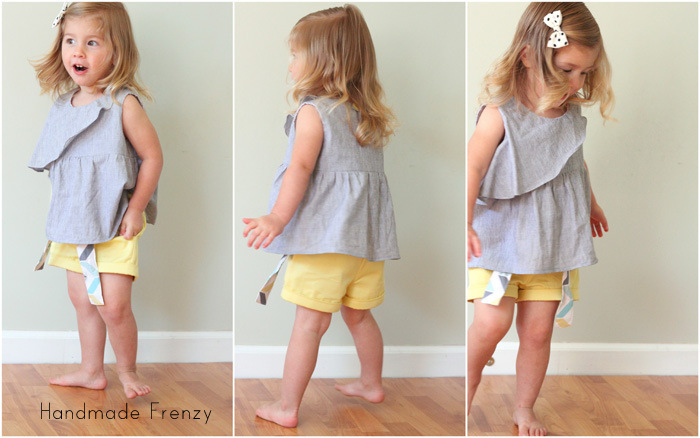 Sewing for me - Zippy Top! !